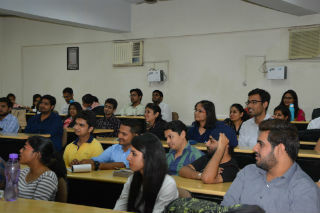 An interactive session was organised on “Startup Early” on 2nd April, 2016 for the students of PGDM. 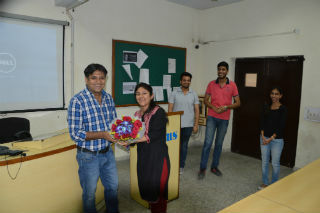 JIMS organized Guest Lecture by Mr. Sandeep Amar, CEO – Zee Digital and a startup evangelist. A senior digital leader in the Indian digital space, Sandeep is a veteran of the industry with nearly two decades of experience. In addition to holding leadership positions in top internet firms, Sandeep has been an entrepreneur, speaker and a leading blogger in Indian digital ecosystem. Having worked in organizations ranging from Fortune 50 companies to startups, Sandeep has successfully and passionately been involved in mobile, internet and enterprise-wide applications, where he’s managed P&L, business strategy, business development, sales and marketing, product management, online marketing and operations. Sandeep has successfully taken ideas and strategies to market that resulted in millions of users and millions of dollars in revenue. The session started with a brief story telling of Mulla Nasruddin. He shared information regarding the various startups who initiated their business and now-a-days they are well known persons. There are few things which an entrepreneur requires before starting his venture i.e. fear which is very essential thing to overcome, thinking about others that if we fail then what our relatives/friends will think. So Mr. Sandeep explained the students about the ‘freedom of living’ which was very important these days because usually people think about others. Other thing is pressure which does not allow people to think beyond their level. He said – “Speak even if you make mistakes” because without experiencing, one could never learn one’s potentials. EARLY START is good because pressure is LEAST. He also discussed about functioning of corporate culture and how your colleagues feel when you get promotions and that is the big achievement for you at that time. But, if one thinks beyond that then it means he has the quality of Entrepreneur. He entertained the questions of students and also discussed with examples through which students could get more clarity. The session was interactive, learning and helped students to enhance their knowledge regarding Entrepreneurship.